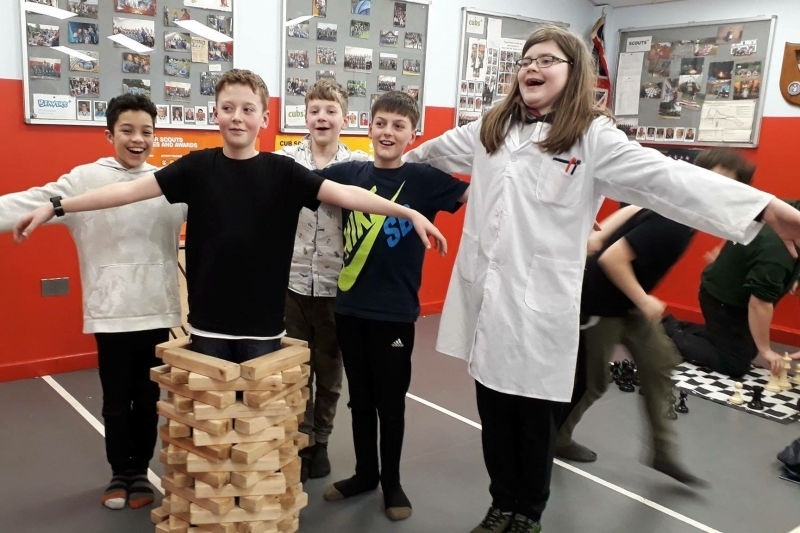 On Friday the 15th March 2019 Red Troop Scouts turned up at the Warren to begin their ‘Murder Mystery’ (their idea) Winter Camp. The weather was dry, the tents were up and gear stowed before we started the evenings programme. After a supper of various expedition style meals we waved goodbye to those members of the Troop who were not joining us for the full weekend and the Murder Mystery began. Under the Watchful eye of Detective Inspector Herring (Red to his friends), the late Baroness Rummun’s Solicitor, Freddie Farr laid out the scene, with the remaining characters (each one a Scout) such as Mulch the Gardener and Classy Galore were introduced, each had a script and clues to add as the weekend carried on. We drifted off to sleep that night (eventually) to sounds of the town at night and woke to the torrential hammering of rain on the tents. The rain stayed with us for the rest of the weekend and while it forced us to rethink a few activities we were, of course, prepared. Breakfast and flag break over with it was time for the Scouts 1st Challenge. 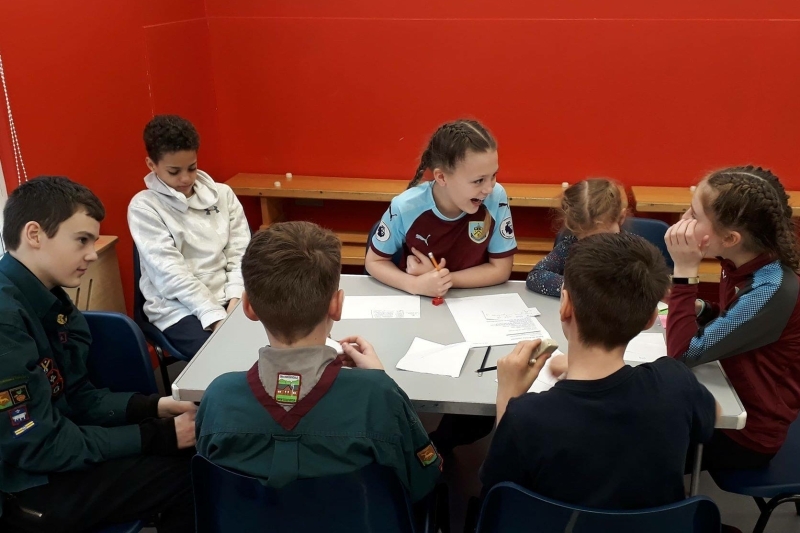 In fact it was 12 challenges in 30 minutes including drawing a portrait of their Patrol Leader, coming up with a Patrol song and making an origami animal. Following this they were tasked with passing a member of the Patrol through a piece of A4 paper, which took some thinking about and as a break we played Time bomb. A complex communication activity followed lunch where each member of the team had information vital to the success of their task and had to impart it to the rest of the group at the appropriate time. 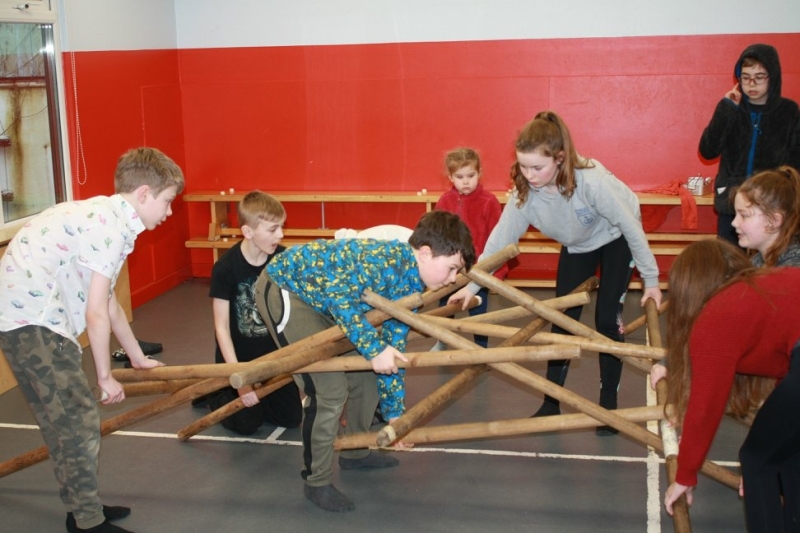 After such a taxing task we gave them another, building a Leonardo’s bridge followed by some pioneering. 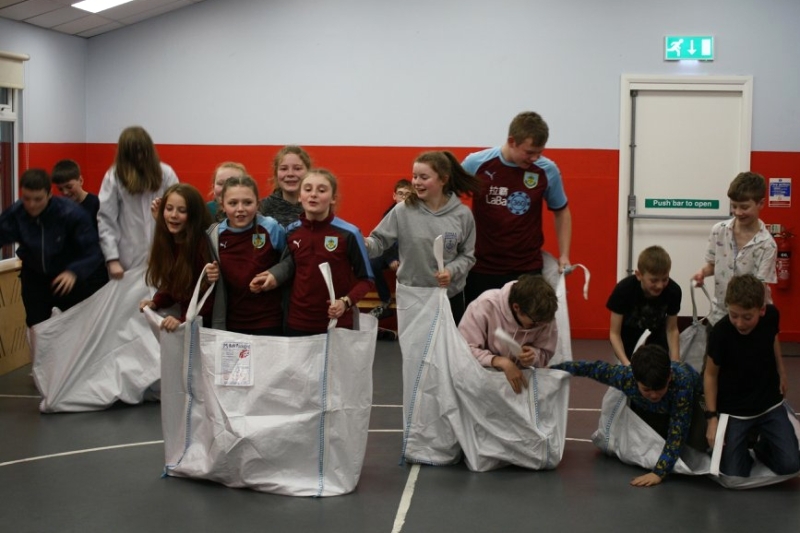 It was time to let off steam and burn some energy with a patrol sack race and a variation of chariot racing. The evening saw the mystery deepen with more clues followed by games and a movie. 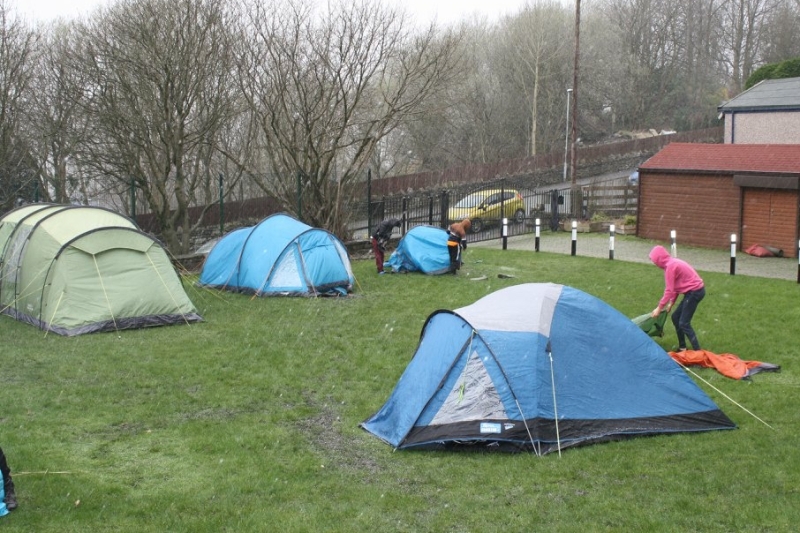 The morning brought more rain but also surprisingly some dry spells which seemed like a good time to strike the tents. Of course this was a ruse on the part of the weather as once we began on our task the heavens opened this time with stair rods of hail. Tents down we needed a bit of defrosting with hot drinks while we watched the snow flurries through the window. To round off the weekend we concluded the mystery to discover it was the music teacher who did it (Not the butler!). 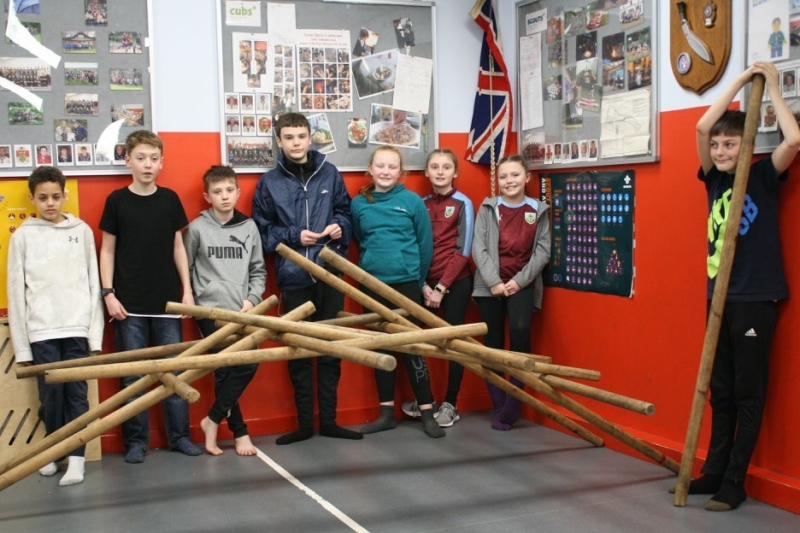 Well done Scouts! 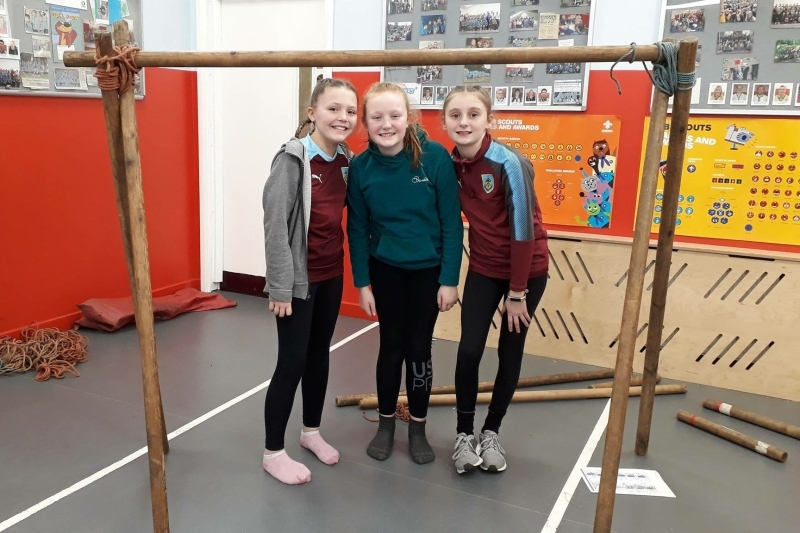 Many thanks to the Leaders and Young leaders without whom we could not put on these events and for the Scouts for their hard work.